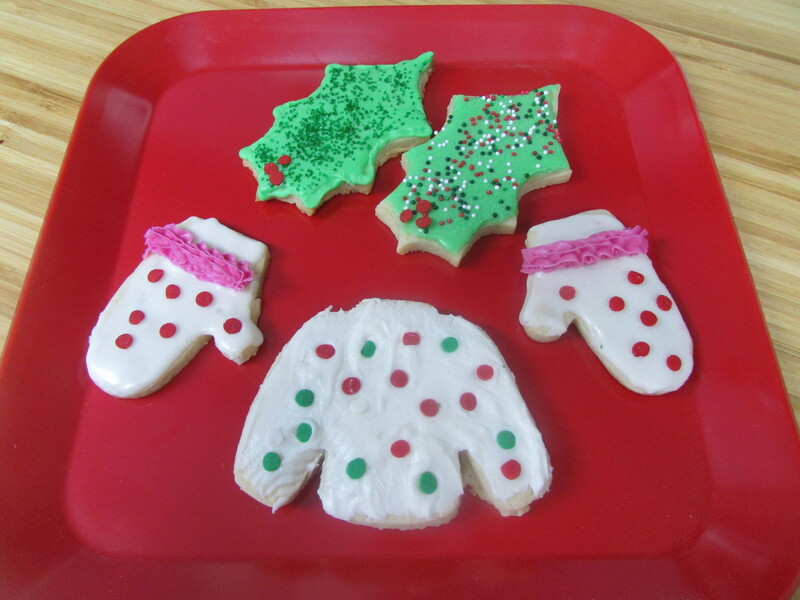 So tonight I decided to pull out the box of cookie cutters and add the new “ugly sweater” one I bought this year. The recipe is pretty basic – Cream together 2/3 cup of white sugar and a cup of butter, then beat in an egg. 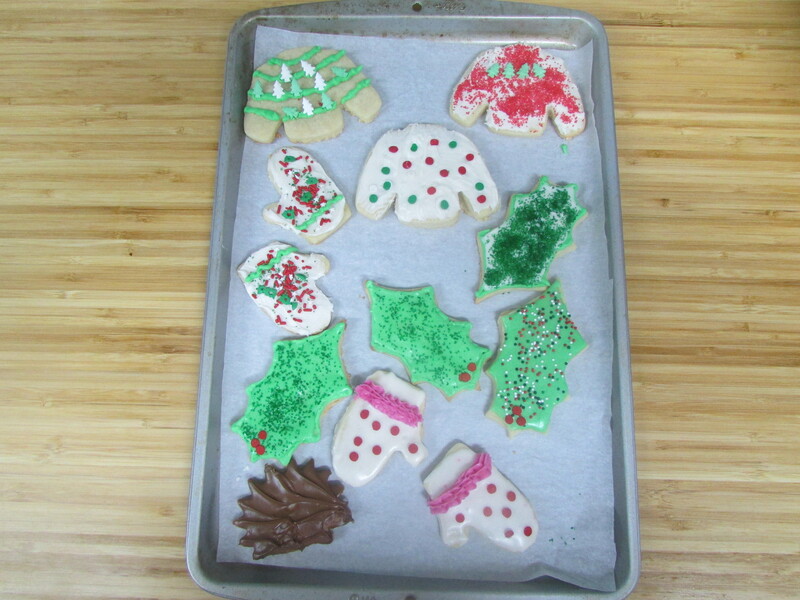 Mix in 1 teaspoon of vanilla, 1/2 teaspoon of salt and 2 1/4 cups of flour. Once combined roll into 2 discs and wrap in plastic wrap. Chill for at least a couple of hours. 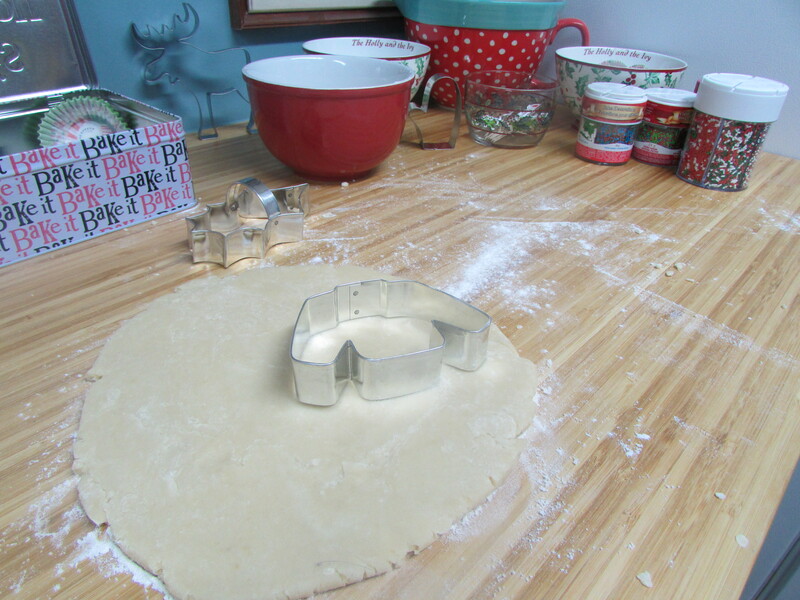 When you are ready to make them you will need to warm the dough up a bit by kneading it in your warm hands before you start to roll on a floured surface. 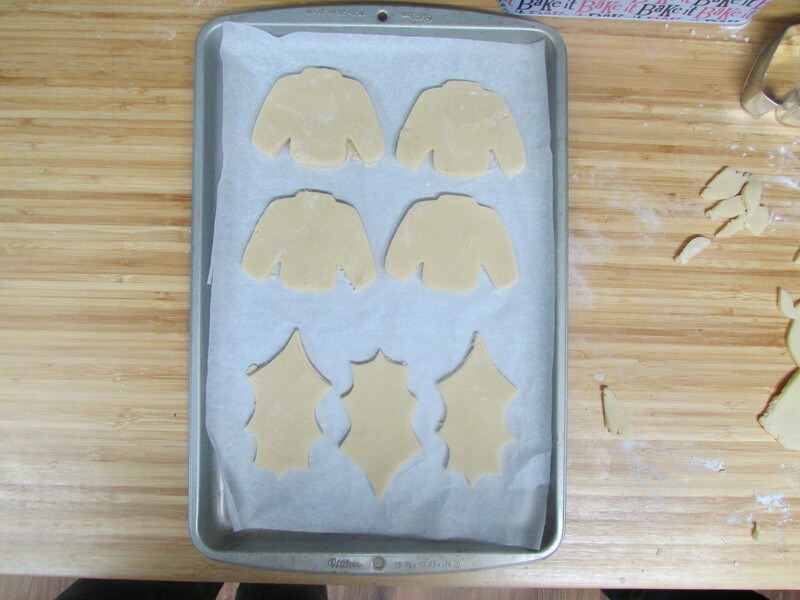 Cut out your desired shapes and place on a parchment lined cookie sheet. 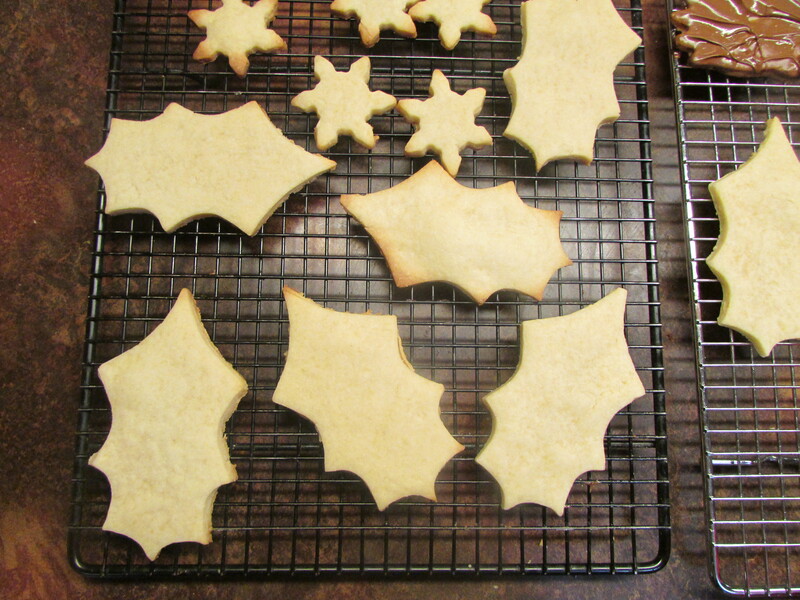 Bake at 350 degrees F for about 8 – 10 minutes, but keep an eye on them and remove before they start to brown. As I mentioned yesterday we are under a snow squall watch so a trip into town was not an option. But never mind we will improvise. 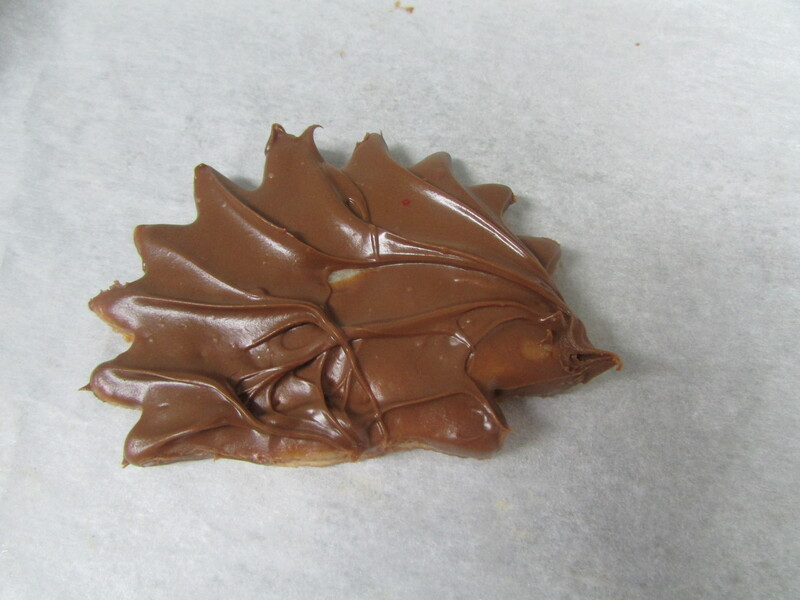 Chocolate hedgehog any one? A little dip in melted chocolate and he is beautiful and delicious. Then we had a whole lot of fun. I don’t think I’ll be winning the Bake Off any time soon. But the best part of a cookie is in the eating and I’m happy to report they are delicious. I also remember why I usually make drop cookies. A great way to spend a wintery night and perfect with a mug of hot chocolate. ← Blogmas day 8 waiting….